Experience the astonishing beauty of the UNESCO world heritage-listed site, Geirangerfjord on a thrilling bus round trip that takes you from Geiranger to Dalsniba Mountain. Geiranger is world famous for its stunning Geirangerfjord that boasts majestic mountains, deep dazzling fjords and charming farmhouses that are perched on the steep mountainsides. This is a tour designed for anyone who loves sightseeing and appreciates nature. Your 2-hour sightseeing tour kicks off at the Geiranger village centre, where you will meet your FRAM guides and prepare for the day tour to Dalsnibba. The bus ride will drive from Geiranger to Flydalsjuvet. Flydalsjuvet is one of the finest lookout points of the Geirangerfjord. Flydalsjuvet offers stunning views of the fjords and regal mountains. There will be a short photo stopover here so that you can take some memorable photos. So please remember your camera! Depending on the departure time from Geiranger, your bus will make another short stopover at Langvatn. After the brief stopover, your bus will proceed towards Dalsnibba. Dalsnibba is a regal mountain in Stranda Municipality. 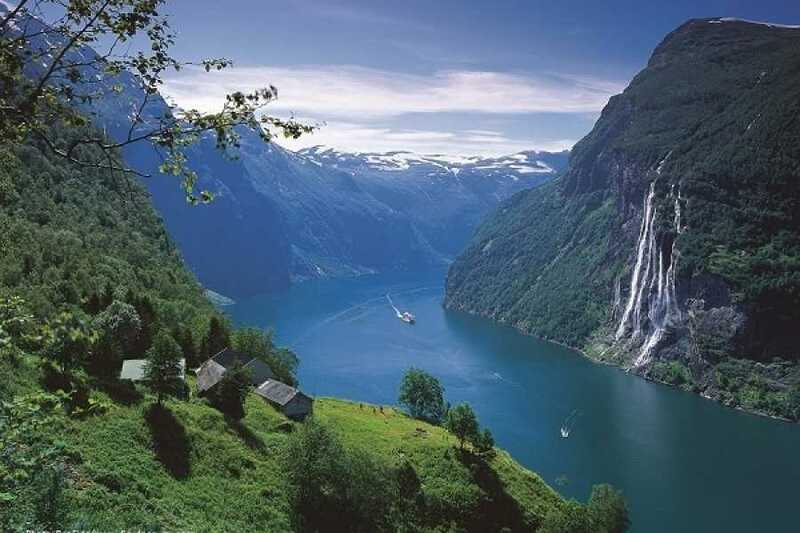 It lies at the end of the Geiranger valley. Mount Dalsnibba is famous for its “Geiranger Skywalk” and the breathtaking views of the vast Geirangerfjord it offers. The Geiranger Skywalk is one of highest viewing points in Geiranger. It is made of glass railings and the metal grate floor platform also offers stunning views. There will be a longer stopover at Dalsnibba so you can enjoy the awe-inspiring views as you take a walk on the Geiranger Skywalk. 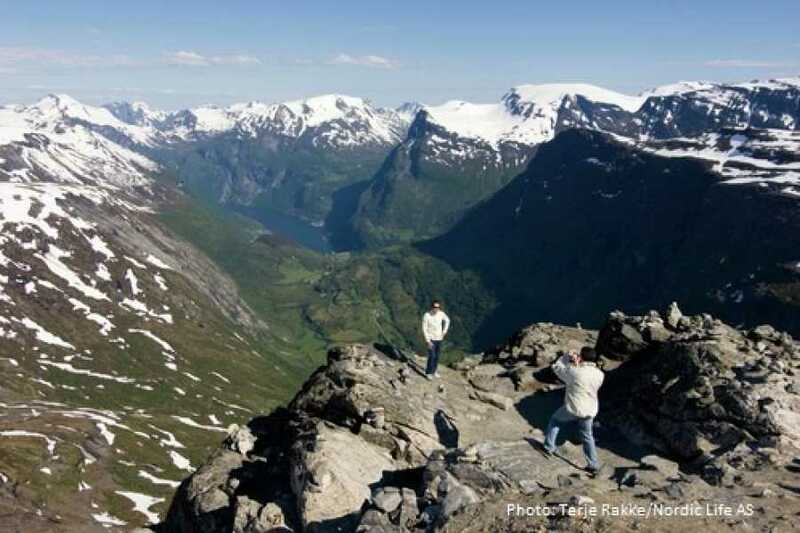 Here, you will experience panoramic views of Geirangerfjord and Geiranger centre as well as the Blåbreen glacier. 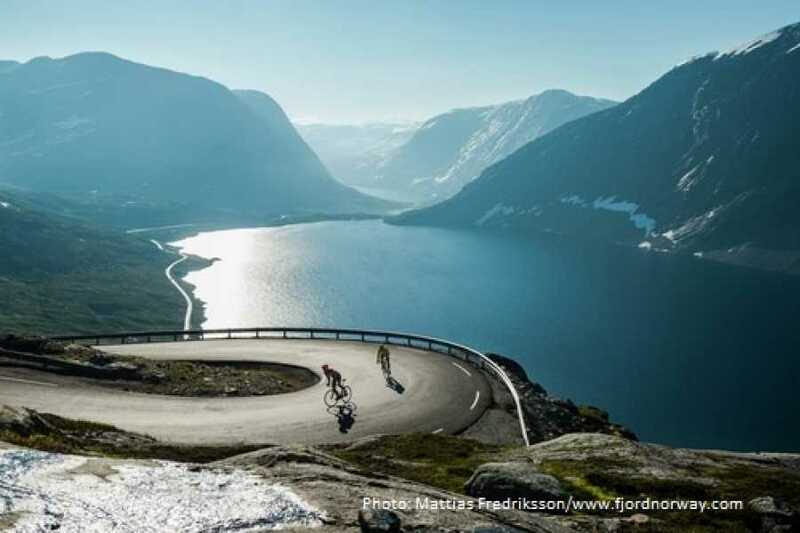 This is an exciting way to experience the gorgeous nature in Geiranger. Check for availability and join us on this thrilling sightseeing tour today! Departure time : 09:15, 12:10. Download the hopperguide app from App Store or Google Play. Open the app and select and download the guide for this trip, Geiranger – Dalsnibba (FRAM Dalsnibba).